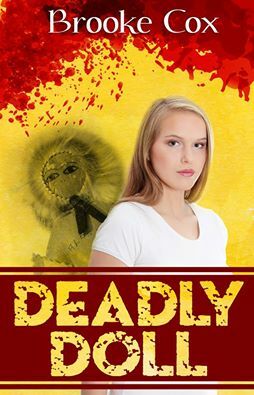 My guest today is author Brooke Cox, and if you leave a comment below, with your email address spelled out, & you share this blog story on social media, your name will be entered in a draw for a paper-back copy of Brooke's book, a YA mystery for all ages, Deadly Doll. I WAS TOTALLY BLINDEDSIDED by Brooke Cox. I had never received that kind of phone call and I hope to never get one like that again. It was July 2013 and I was at work. When I answered the phone, the man on the other end told me my husband Tim had just been T-boned in a wreck. A girl I worked with drove me to the crash site. We arrived there right after the ambulance had left. The state trooper said Tim’s injuries were not life threatening. That could mean anything and I imagined the worst, but when we got to the ER, he was laying on a bed in a neck brace. All he had were a few broken ribs in his upper left shoulder. I thought that was amazing until he told me something even more so. When he had his wreck, two volunteer rescue workers were in the car behind him. The one who came to his door asked Tim if he knew his bible was lying on his leg. When Tim looked down, it was lying open as if he had been reading it. Now, I had gotten Tim that bible for Christmas. He kept it under his arm rest and would read it before he went into work. But what got me was the fact that he was hit from the left. 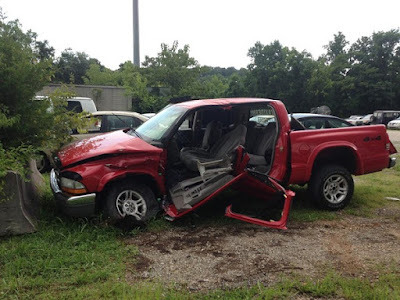 Everything else he had in the truck flew right, but the bible went left and landed open on his leg. After a couple of days, we went to the garage to get the rest of Tim’s stuff out of the truck. I made sure to look at the front seat. The arm rest was elevated and tilted to the right. That’s when I realized what had happened. At the moment of impact, the top of the arm rest flew up and the bible was thrown straight up. As it was up in the air, Tim was shoved under it. But why did it land open instead of bouncing off his leg? It really was as if it was intentionally laid there. I asked him what part of the bible it was open to. He doesn’t remember. The volunteer who helped Tim held it for him as they cut him out of the truck and he put it in the ambulance with Tim. I believe God did intentionally lay that bible there as a way of showing us that He had His hand on that situation. He is always with us and in control in all circumstances. Here is Brooke's Book Deadly Doll. ABOUT BROOKE COX: I have been blessed with a wonderful husband Tim and we have been married for 30 years. And we have a daughter, Sara, and a miniature dachshund who thinks he’s human. And I love action and adventure. I want to be on the edge of my seat. Brooke can also be found on Facebook as Brooke Cox and on Linked-in.